Binary Scam Alerts is posting a severe Identity Theft Scam notice on the Stark Trading System (AKA Stark App) perpetrated by Richard Paul and Antonio Stark. Due to a disturbing number of complaints received on Via our Facebook page and various Email Communications, it has come to our attention that innocent day traders are being solicited to provide their personal information which is then illegally relayed to third parties. The first piece of proof can be found in the fake logos provided in the so-called system. Anyone with a bit of common sense can Google the name of this malicious piece of deception and immediately find out it is nothing bus a bogus offer. Secondly, Paul and Antonio Stark are just fictional characters and paid actors, you can search the web for reviews about this couple as well and you will see an empty vessel of lies and deception designed to manipulate and cheat day-traders into funding trading accounts under false pretenses. Finally, in the members area you are falsely being led to believe you are signing up for software, when in reality it’s for some shady unregulated broker with underpaid sales reps that will sell their mother to get a bonus when you deposit money into your account. How Does The Identity Theft Scam Work? Once you provide your email your will be repeatedly and brutally contacted by a variety of service providers that will try to sell you a broad spectrum of sleazy products such as online pharmaceuticals, fake watches, gambling systems, and overpriced fake diet pills. If these vendors are not able to contact you they have been known to simply charge your credit card and either send you something (or not) depending on their cash flow on that specific day. When you hear something like that please make sure to take a step back and re-evaluate your options. Because unfortunately there is no push-button system that will make you rich beyond your wildest dreams overnight. People work their whole lives to become wealthy, and it takes a lot of hard work, sacrifice, and dedication. Inflated bank accounts are the immediate tell for a scam like this. Other scams in the same category include but are not restricted to Insured Profits, Einstein Profits, Phoenix Trading, Millionaire Blue Print, Oz Robot, Binary Matrix pro, Channel Ranger, Binary App 810, Mocking Bird Method, Centument App, Medallion App, and the Citidel App. Remember, the only piece of proof you will need is the trading history inside your trading account, and it looks like the image below. If and when you are provided with real screenshots, you are pretty much in the clear and can move forward with funding an account with a recommended broker. Despite everything that’s going on there are actually things that have been proven to work. I usually do not recommend automated solutions, however if you must have a bot then go for Virtnext, since it has been proven to provide solid results consistently. However, the real money is in signals, and with the right tools you can become extremely masterful and successful. 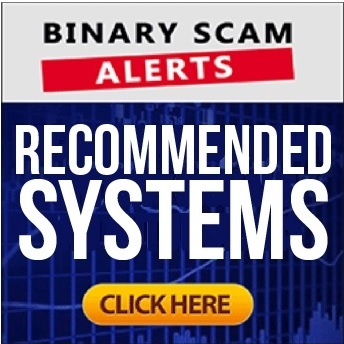 It’s without any degree of hesitation or lack of clarity that Binary Scam Alerts is categorically declaring the Stark Trading System or App and Richard Paul and Antonio Stark as a severe binary options and Identity Theft scam. We highly recommend you not download anything, since the probability of your computer or device being infected with malware is extremely high. We warn you not to use this piece of software, as there is nothing genuine or honest about it, besides their attempt to steal your money and personal details.